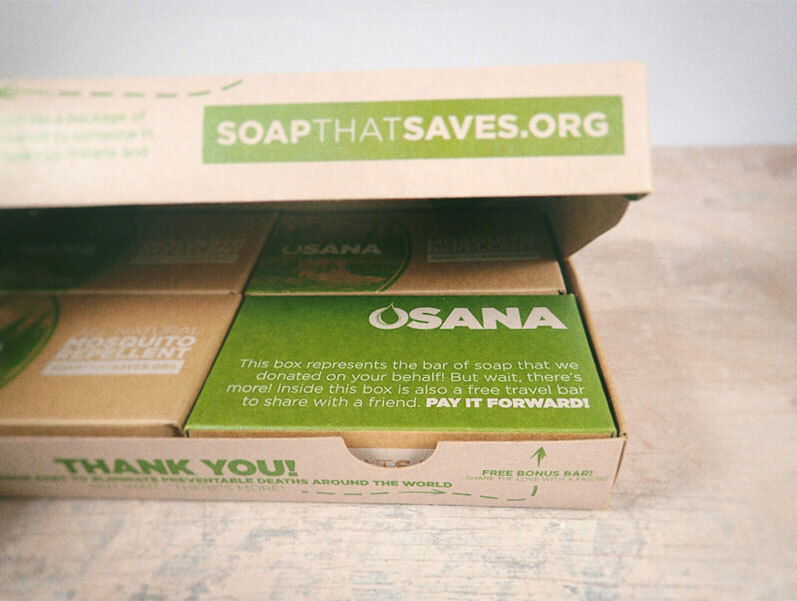 Osana is a Lakewood, Colorado-based company whose soap is helping to fight the dangerous Zika virus and eliminate preventable deaths caused by malaria and mosquito-borne viruses. An all-natural mosquito repellent soap, the Osana Bar is a welcome alternative to toxic and unpleasant bug sprays. Containing zero animal products, the soap smells great, is child-friendly and is also suitable for use across all faiths. Herb extracts and citronella soap help spread a fragrance barrier, keeping mosquitoes away naturally. You can even use it on your pets for all camping, hiking, and any other fun outdoor adventures. Each time you buy a three-bar package, an extra bar of soap is donated to those around the world at risk of malaria, dengue, and other mosquito-borne and sanitation-based illnesses. Osana donates multiple times a year to countries such as Ghana, Haiti, Tanzania, Uganda, and Brazil. Ready to be part of the solution? You’ll not only be helping those in need all around the world, you’ll also prevent unwanted mosquito bites and protect your body in a completely natural, non-toxic way. Your purchase matters!